As Subject and Object: Contemporary Book Artists Explore Sacred Hebrew Texts showcases the work of 14 contemporary book artists who explore traditional themes in unconventional ways. 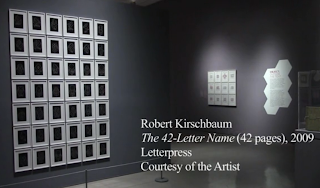 The exhibit runs till September 29 at the Museum of Biblical Art (MOBIA), New York. Check out the videos of the curator's tour given by MOBIA's Adrianne Rubin, Ph.D and interviews with 3 of the artists. 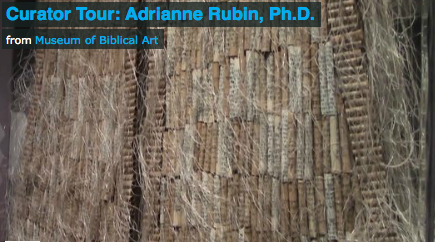 Curators Tour by Adrianne Rubin, PhD. Ancient Hebrew texts, ranging from the Hebrew Bible to the Talmud, the Passover Haggadah, and the story of Hanukkah, have inspired these twenty-first century artists to create works as varied in style as they are in media. Rather than merely illustrating the texts, the artists challenge and extend them through their personal interpretations. Some artists use the source materials as points of departure for creating new books that recount the original narratives, for instance the Books of Esther and Ruth, albeit with contemporary interpretations. Other artists physically alter the ancient texts or use the stories as springboards for new symbolic renderings. 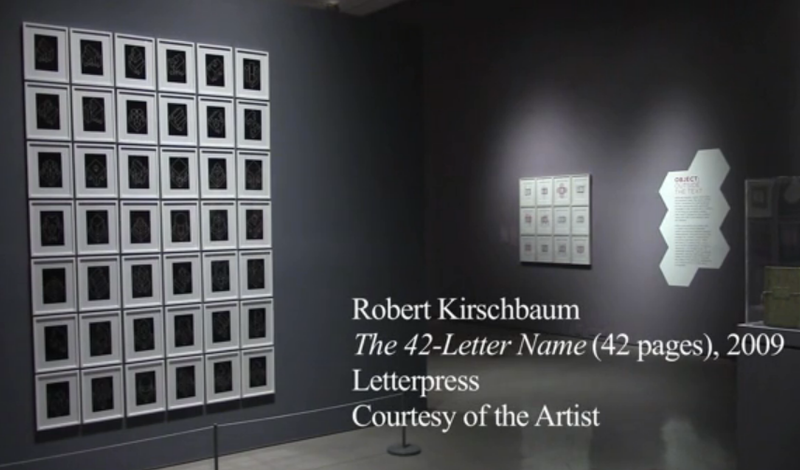 These two broad categories respectively represent the “subject” and the “object” in the exhibition’s title.